During our brief stay in Tofino, Y & I signed up for a 4-hour Discover the Rainforest tour with Paddle West Kayaking. On our “Discover the Rainforest” kayaking and walking tour, dip your paddle into the pristine sparkling waters of Clayoquot Sound on route to explore the Meares Island Tribal Parks “Big Tree Trail”. While on Meares you’ll take a guided walk through the lush temperate rainforest to view ancient (1000+ year old!) red cedars and stand in awe amongst some of Canada’s largest trees. We thoroughly enjoyed the combination of sea & land adventure – our guide was very knowledgeable! However, paddling and walking for 4 hours left us sore and starving. One of the best things about the islands is that everything is of close proximity. Barely a 2 minute drive away from the kayaking centre was SoBo – Sophisticated Bohemian. Why that name? – I still don’t know. However, SoBo has made quite an impression. The husband-wife team is originally from New Brunswick. SoBo was started in a well-equipped purple catering truck to rave reviews from locals. 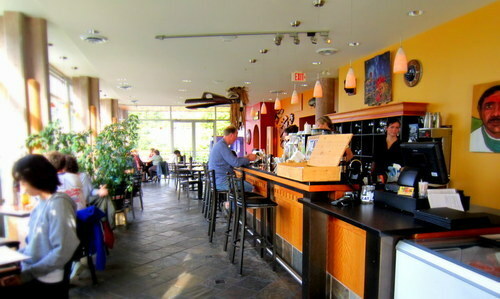 News of the Ahiers’ fresh and amazing food soon reached visitors and Lisa and Artie were blown away when they were named one of the top 10 Canadian restaurants in En Route magazine in their opening year, 2003. The awards and accolades have continued, along with SoBo’s evolution. 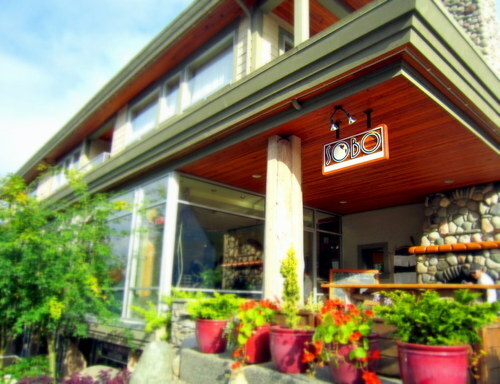 In 2007 the Ahiers moved SoBo from the truck into the upscale Conradi Building on Neill St. in Tofino. Their new location has allowed the popular restaurant to take on another incarnation – as the new dinner hotspot in town. Warm sunlight penetrated through the tall glass windows. 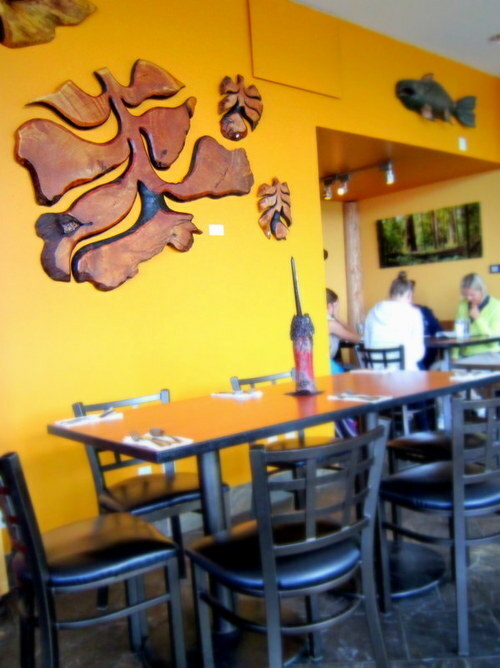 I love bright and cheerful restaurants! Spacious interior. 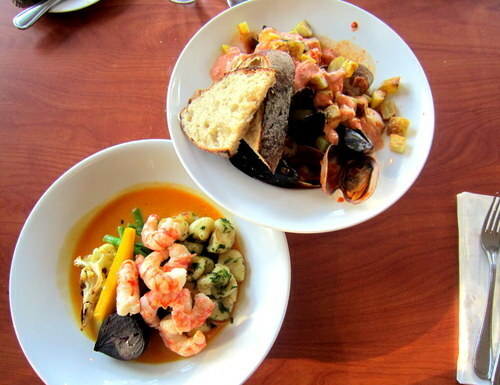 I think SoBo frequently tweaks their menu for each season, and also offers various daily specials. Therefore, some items we ordered (August 2011) are not longer available. *Note: You have to pay if you want bread. The colourful platters definitely stimulated our appetites. 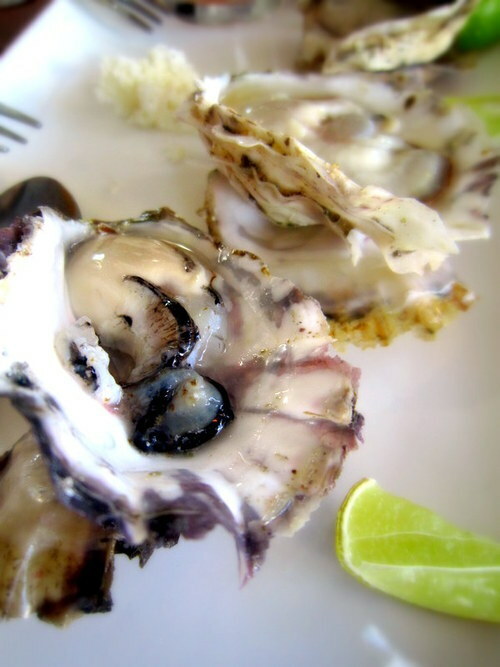 I could literally feel the fresh oysters beckoning us. 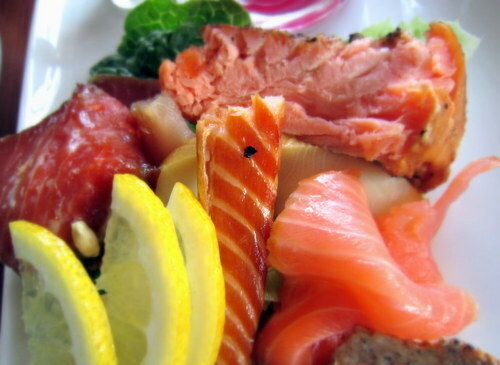 We were grateful for this smoked salmon sampler platter. I am not too sure what were the various varieties served, but the candied smoked salmon was our favourite! Sweet and savory in a single bite! Bought some frozen ones from Trilogy Fish Company after dinner as souvenirs. 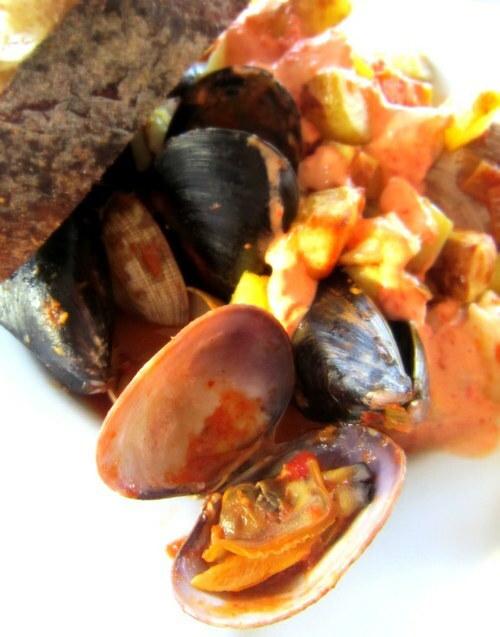 The whole dinner was pleasant – aromatic, sweet, and fresh seafood. Sometimes, You just know when a kitchen prepares their food with pride and sincerity. 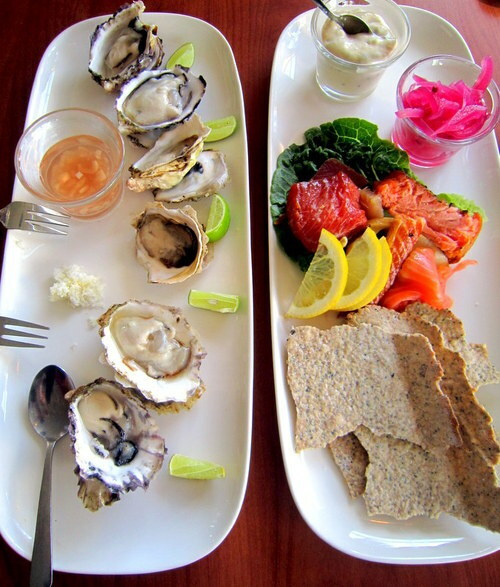 The clean burst of flavour in each bite definitely showed off the beautiful seafood of British Columbia.